I seriously doubt that you would. Get a pencil and paper . . . These are the only things that the most common drug test, known as a five-panel drug screen, tests for. 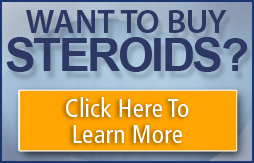 They do not test for steroids or for non-steroid drugs that are commonly used in an AS cycle. Now, it's time for your final exam . . .
What are the five things tested for on the average drug test (including pre-empoyment, reasonable cause, random, or post-accident test in industrial or professional situations - almost any drug test except for athletic competitions in which they specifically look for AS)? And that's the absolute last time we will address this question. Until the next time someone asks it, which should be next week, damn it. Class dismissed. Have a nice spring break. besides what tnt said, hgh can't show up on a test. cynomel is just t3, a natural hormone that you have in your body. how long can yo see spiropent clenbuterol in the urine?